We are all familiar with pen drives - also known as USB flash drives - these ubiquitous sticks used for sharing the latest Dzongkha music hits (they are also a "great" way to get infected with computer viruses, but that's a different story). Memory cards are very similar in nature to pen drives, but do not have that USB connector. They are usually plugged into special slots in digital cameras and mobile phones. Some computers have special slots for memory cards. Otherwise memory cards can be plugged into computers using a small adapter called a memory card reader. Memory cards - like pen drives - sometimes stop working. This can be due to a hardware failure, in which case they become completely useless. However, sometimes the information stored on the memory card becomes corrupt and inaccessible. In the latter case, it is often possible to bring the card back to life by reformatting the drive. There are a few things that are worth trying in order to revive the memory card. These apply to both pen drives and memory cards. If you have a memory card, you will need to plug it into your computer, usually using a memory card reader which can be purchased in a good mobile shop. Note that all these methods will delete all the information in the memory card (or pen drive). First, I would try formatting the drive using the Windows operating system. After plugging in your card, go to Computer, right-click on the drive, select Format..., then uncheck the Quick Format option, and click Start. A more advanced option would be to try and format the drive using the Windows command prompt. To open a command prompt, click on the Windows start button, then select Run..., type CMD, and hit the Enter key. Once the command prompt is open, type FORMAT H: /FS:FAT32 (this assumes the memory drive letter is H). If these two operations don't work, it's time to try heavier tools. Some manufacturers supply free software tools for reformatting their memory cards. 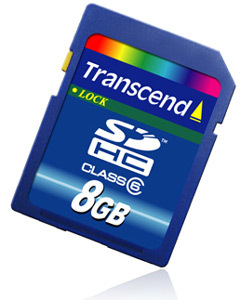 For example, Transcend, which is popular in Bhutan, avails a suite of tools for formatting memory cards (as well as for recovering data from USB pen drives). Go to www.transcendusa.com, click on Support, then Download, and you will find the software tools. Other manufacturers offer similar tools. Last but not least, it is worth checking out the HP USB Disk Storage Format Tool, which is an advanced utility for formatting pen drives and memory disks. It is available for download at goo.gl/lQLTw.